3. 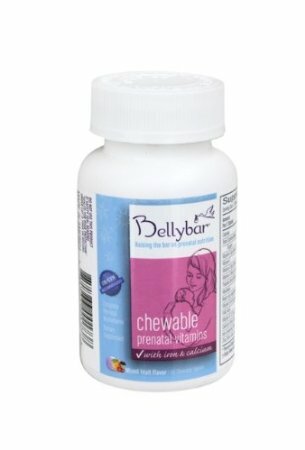 Belly Bar Chocolate Prenatal Vitamins & (algae derived) DHA Chewables-I’m a huge wimp when it comes to swallowing pills, so finding chewable prenatal vitamins is a must! I found them at Walgreens. 4. The Hallmark Channel-Sure, (if you’re as emotional as I’ve been this pregnancy!) some of the movies will make you cry, but for some reason it’s such a good channel to watch during pregnancy. The Christmas movies are the best. I don’t even turn it on when I’m not pregnant. 5. 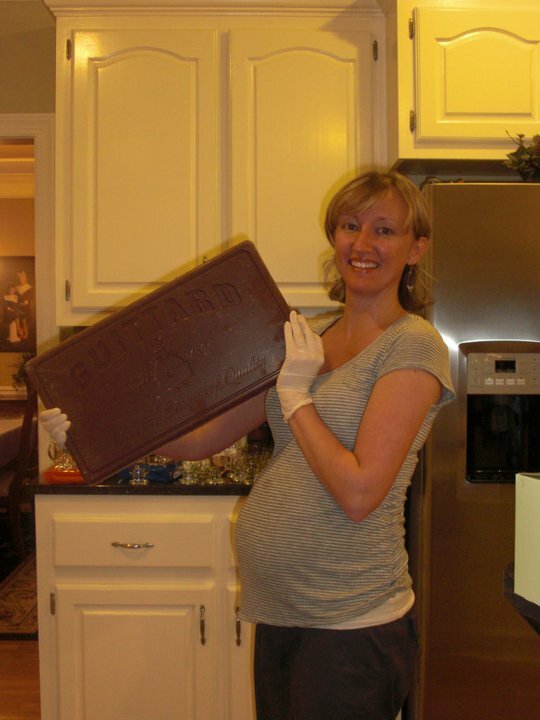 Guittard Chocolate-That’s me and my 10lb. Guittard milk chocolate bar. I don’t know why this chocolate is so good, but of all the chocolate I’ve tried in my life (including my favorite store brands: Dove and Cadbury) this is my favorite! You can find Guittard milk chocolate wafers/discs on Amazon. 6. Leggings-I’m grateful that leggings are in style, because I love walking out of the house feeling like I’m wearing something as comfortable as pajamas! 7. Jennifer Wolfe’s Vinyasa Prenatal Yoga DVD-I love this DVD, because it has exercises for the 1st, 2nd, and 3rd trimester. 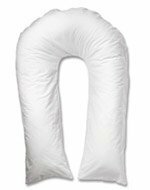 I’m not going to pretend…I definitely haven’t used it much in the last trimester! 8. Chocolate Milk-When I’m in a hurry, but super hungry, I usually grab a glass of chocolate milk for the protein! 9. 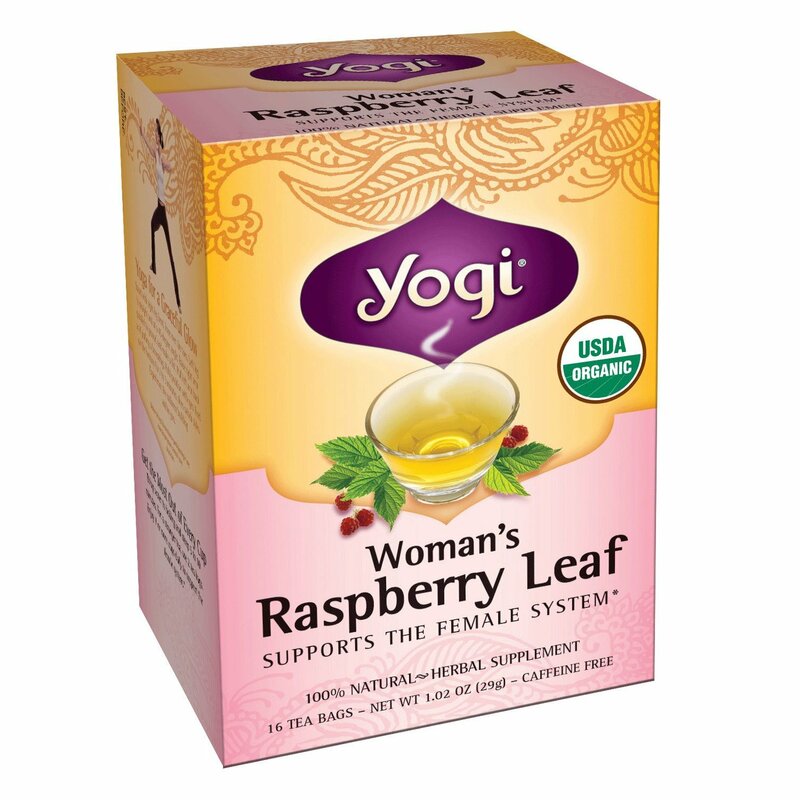 Red Raspberry Leaf Tea-I don’t have a favorite brand, but I do like to drink this tea during the last couple weeks of pregnancy to tone the uterus in preparation for labor. 10. Hard Candy/ Suckers-Allowing my teeth to rot during the first trimester is completely worth it if it helps ward off nausea! I always keep hard candy on hand for the first trimester, because it really does the trick. 11. Carrots and Apples!-When it’s late at night, and I’m fighting acid reflux, I have reached for carrots and/or apples SO many times. They really, really help! Cucumbers help, too. 12. Toddler DVDs-When I was very tired at the beginning of this pregnancy, I was not ashamed to put Levi's favorite DVD (Signing Time) on until I could regain the energy to get up again. They helped him stay happy and entertained when I was exhausted. 13. Baking Soda and Vinegar-I like to cut out all harsh chemicals most of the time, but especially when I’m pregnant. 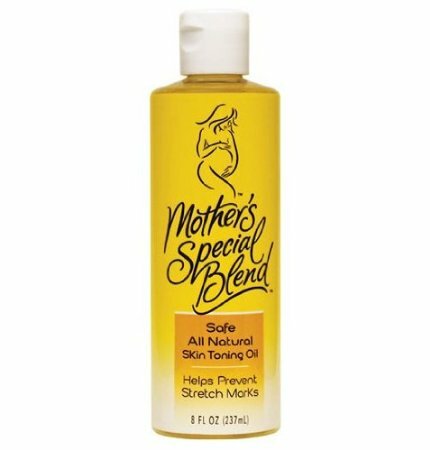 Baking soda and vinegar can be used as pretty reliable cleaning products, and are safe during pregnancy. 14. Red and Green Smoothie-I have made this smoothie about four times a week during this pregnancy. It has spinach in it, which is a good source of Niacin and Zinc, and a very good source of dietary fiber, vitamin A, C, E, K, and B6, Thiamin, Riboflavin, Folate, Calcium, Iron, Magnesium, Phosphorus, Potassium, Copper and Manganese. The kefir/greek yogurt is a good source of calcium and protein. The berries are a good source of fiber, antioxidants, and vitamin C.
What are some of your favorite "can't live without" pregnancy items? Love your list and you are Adorable!